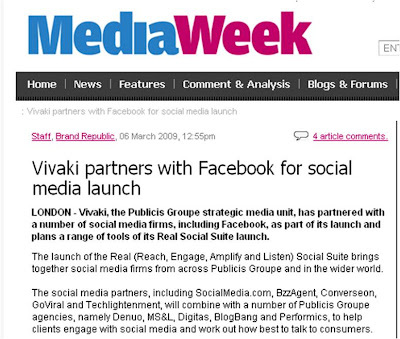 This morning VivaKi held an event in London to launch REAL Social in EMEA. REAL is an acronym for 'Reach, Engage, Amplify and Listen' and REAL Social will help our clients participate in the social web by defining the opportunities and then matching these to leading social offerings - both internal and external. The REAL Social suite is a series of tools and partnerships that inform social outreach and messaging and features SocialMedia.com, BzzAgent / Buzzador / trnd, Converseon, Facebook, GoViral and Techlightenment. 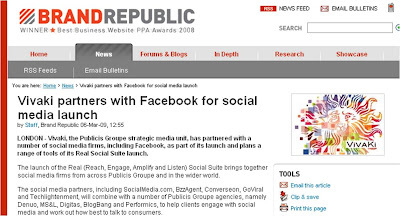 The suite also encompasses internal social marketing offerings from Publicis Groupe companies Denuo , MS&L, Digitas, BlogBang and Performics. Following the initial launch in the United States, EMEA marks the second region in the toolkit’s global roll-out plan. 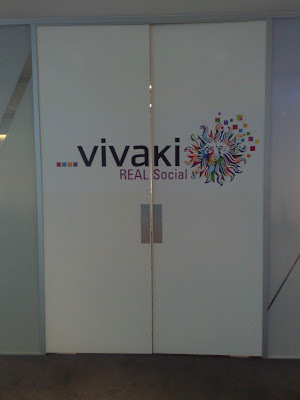 However, the focus of social coverage for the VivaKi REAL Social launch was Twitter. We publicised a hash tag at the start of the event ('#REALSocial') and asked people to include this in any event related tweet. 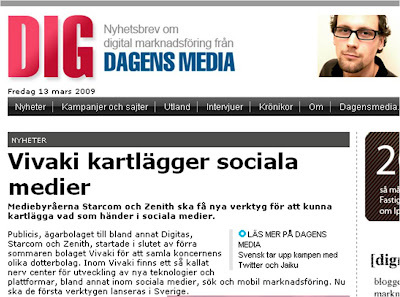 This hashtag acted as a label and meant that REAL Social tweets were easy to follow and analyse afterwards. 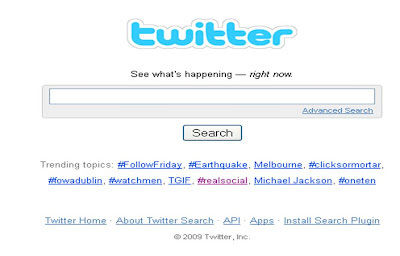 REAL Social twittering was so prevalent that it produce 14 pages of Twitter results and #REALSocial even became a global trending topic on Twitter alongside Michael Jackson and the Melbourne earthquake! This is a case study in itself (could Twitter hashtags replace the 'AOL keyword' or the 'Search on Google for.....' credits at the bottom of posters? ), but overall our Twitter hashtag helped to develop a sense of community around the launch and shows how sites like Twitter can socialise live events and make them significantly more engaging for both audience and presenters. 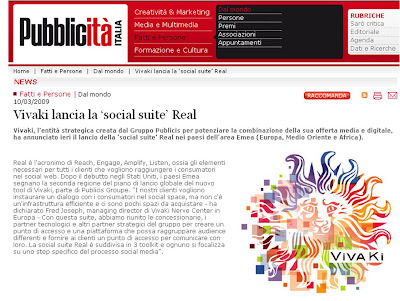 #REALSocial - VivaKi REAL Social is a trending topic on Twitter! Thank you to everyone who helped, everyone who presented and everyone who attended (either virtually or in person) - exciting times lie ahead! Congrats on the event and thanks for having us. We're looking forward to working together to take "listening" to the next level. Onward!